Every week there are millions of pieces of new information shared on line and in print, here are 5 things you might have missed last week. 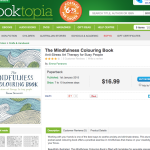 The Mindfulness Colouring book is currently one of the biggest selling books in Australia. I know this because I had to wait ten days to get mine. Booktopia sold out of it in May (they have since restocked). Adults can’t get enough of this grown up colouring book. Like yoga, colouring forces you to focus on one thing and creates mindfulness and a sense of living in the now, rather than worrying about what happened yesterday and what’s going to happen tomorrow. Pick up your pencils, sit down with the kids and colour, you’ll be surprised how relaxing it is. 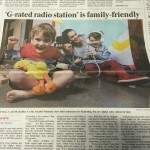 Kinderling, a radio station for families and kids this launched. 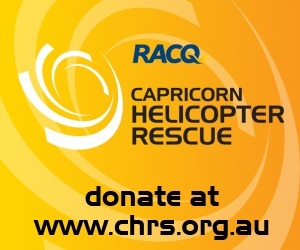 Good news when just last week I had to quickly change stations when after a chat began on orgasms and other things a five year old doesn’t need to know! Kinderling is the brainchild of Evan Kaldor, former General Manager of Australian Music station FBi radio. 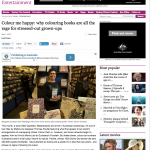 The advertiser’s are loving it too, so far Volvo and the BBC’s Cbeebies are on board as sponsors. And even better the advertising will not target kids! The Shoalhaven Coast Winter Wine Festival is on this Queen’s Birthday long weekend in NSW. Taking you to wineries like Cupitt’s Winery at Ulladulla and Two Figs Winery Shoalhaven. With a bus running between all the venues, a drop of red and sprinkle of sparkling might be on my radar this long weekend. Sandon Point parkrun, NSW, Australia turns two this Saturday! Sandon Point parkrun is my local parkrun but you can find this parkrun events all across Australia and the world. 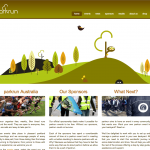 www.parkrun.com to find your local spot. Don’t have one near you? be a pioneer, start your own! There’s lots of support to help get you up and parkrunning. parkrun never with a capital! International Children’s Day and the first day of winter collided this week in the southern hemisphere. The 1920’s world conference for children’s wellbeing held in Geneva declared 1 June a great day to celebration all things children. Don’t know about it? 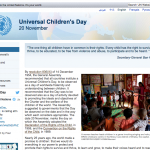 Well the more globally recognised celebration of all things kids is the The UN’s Universal Children’s Day on 20 November. I’m sure there’s more than five things you might have missed last week, I know I did, but these are just a few I found interesting. 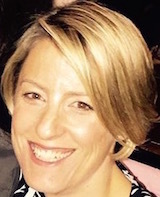 What are the five things you found interesting, amusing, ridiculous, incredible last week?